I’ve enjoyed doing my makeup for school recently so I thought I’d share what I’ve been using to create a very simple and subtle look that I’m sure you could wear out of school too. 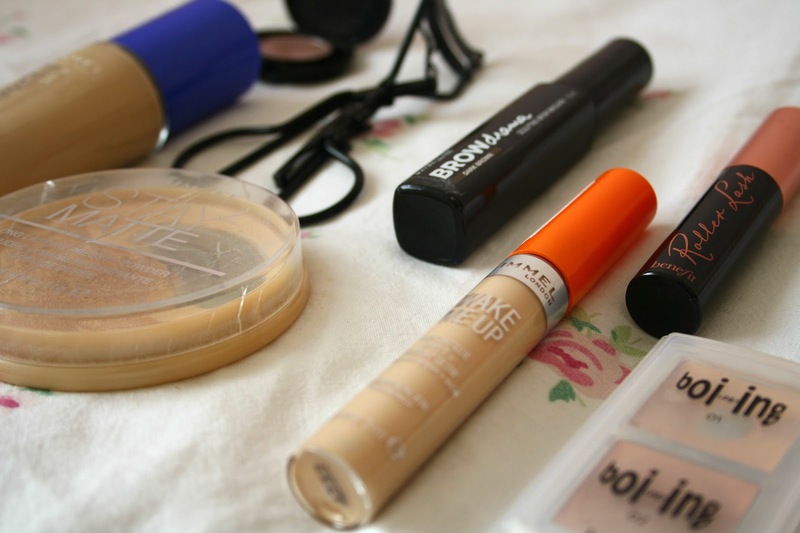 Most of the products are drugstore so are very affordable. Hope you enjoy! 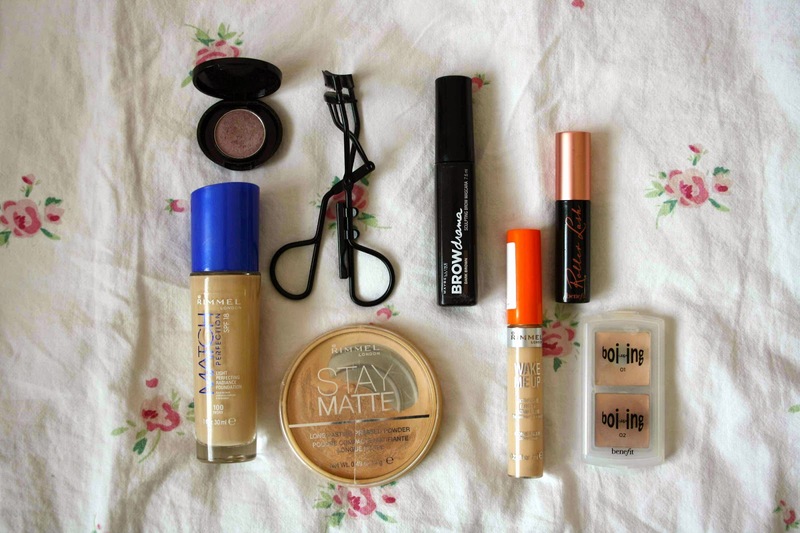 Firstly I use my Rimmel Match Perfection foundation, this is probably my all time favourite foundation. It glides on so easily so its perfect for a morning where you might be rushing to get ready but still want good coverage for school. I really enjoy using this. After this I go in under my eyes with Rimmel Wake Me Up concealer, and then Benefit Boi-ing concealer on any spots I have. I really like both of these because they’re so amazing at covering any imperfections and also dark cirlces without being heavy and cakey. To set the foundation and concealer I use Rimmel Stay Matte powder. I like wearing a subtle eye shadow and for this I use my No7 Eyeshadow, I believe this is in the shade mink? I could be wrong however. Its a purply, pink, brown shade. It has a slight shimmer, but is very quick and easy to apply with minimal blending needed. I think its such a pretty every day colour and lasts a very long time! After I go and curl my eyelashes with Boots Eyelash Curlers, very standard but I think its important to curl your eyelashes as it makes your mascara apply better and makes your eye lashes look longer. After this I go and put my Benefit Roller Lash on, which gives your lashes such length and stays all day. Finally after that I go through my brows with Maybelline Brow Drama, just to give a slight tint to my eyebrows as I don’t fill them in for school. They also just hold them in place nicely. What products do you use for school?